Matt Kozar works as a reporter and substitute anchor for WCBS in New York City where he’s covered the Eric Garner case and subsequent protests as well as the shooting deaths of two NYPD officers. 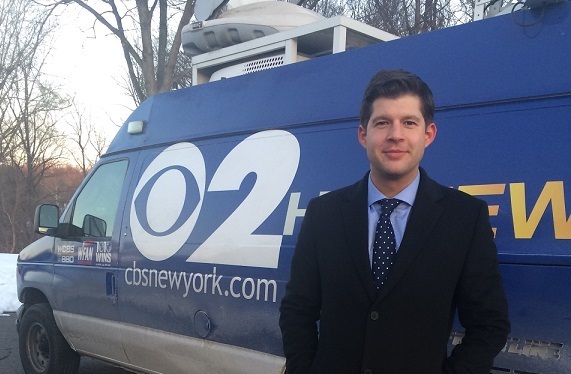 Before joining WCBS-TV, Matt worked as a reporter for WABC Eyewitness News and a correspondent for ABC News One – the network’s affiliate news service. He contributed extensively to the station’s Superstorm Sandy coverage, the Newtown school shooting and the mayoral election of Bill de Blasio. He’s received a New York Emmy Award for general assignment reporting and two New York Press Club awards. Prior to arriving in New York City, Matt worked for TV stations across the country, including KSNV (NBC) in Las Vegas, NV; WJTV (CBS) in Jackson, MS; and WBOC (CBS) in Salisbury, MD. His writing has appeared in The Jackson Free Press, The Las Vegas Sun and The Tampa Tribune. Matt received a master’s degree from Columbia University’s Graduate School of Journalism in 2007 and a bachelor’s degree in economics from Brown University in 2006.